Sometimes you just have to have a classic dish that you can go too in your recipe collection in a flash. Something that is fast, but darn good and definitely a step above what everyone else makes. 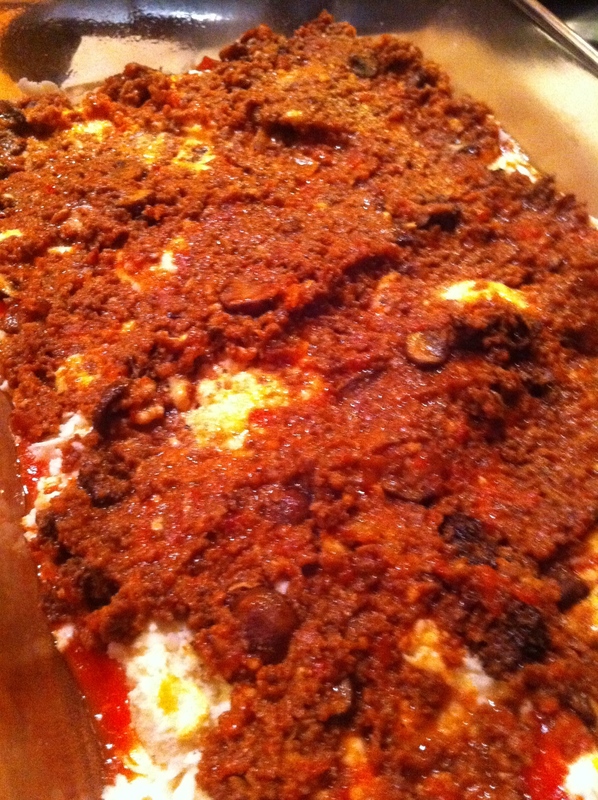 So my people of the hunting chef blog, I present to you Elk lasagna Shay Nanna style. I am going to do this step by step so you understand exactly how to do this, so it turns out perfect. First thing I do is let my elk burger thaw out correctly. This means naturally, no microwave or other odd techniques. Take it out of the freezer and let it come to room temperature on the counter. You can use elk or bison sausage if you choose. Then I toss it in and cook it over medium heat. Brown the meat, do not over cook it. Then strain it. Notice that the meat is lumpy, well that there is what I call a texture deal killer. 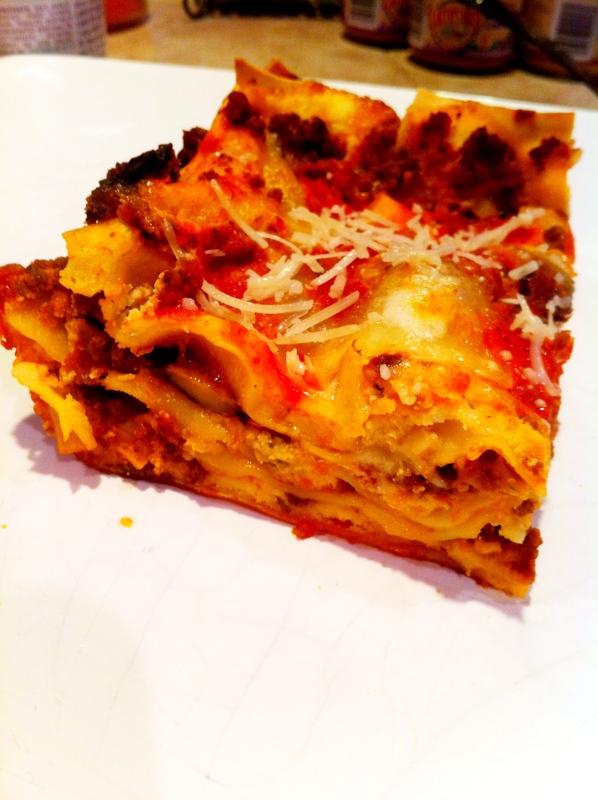 Lasagna is about texture and taste, nobody likes to bite into a big lump of meat. So I put my meat after I strain it into a processor. Your elk meat should have this consistency not too smooth, but fine. Now I take a 28 oz. can of San Marzano roasted tomatoes, it has to be San Marzano they are simply the best. If you do not believe me do your own taste test. 28 oz can of San Marzano roasted tomatoes from Italy. 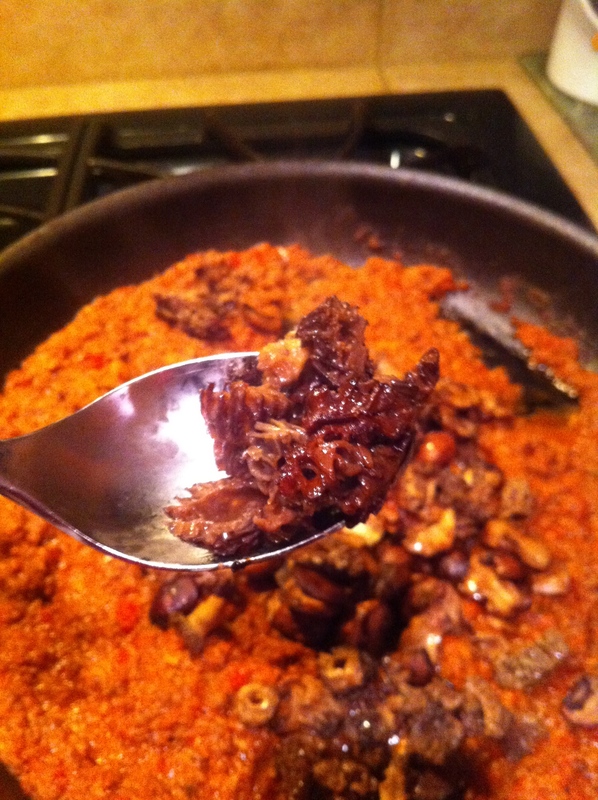 teaspoon of red chili flakes, add more if you want more kick to taste. Chop your onion and add it to the pan with olive oil with the garlic and brown them both, and then add the San Marzano tomatoes. Tear the basil into small pieces and add it to the sauce with the red chili flakes, salt and pepper to taste (don’t be afraid of it). Then simmer for 15 minutes. Keep a cup and half for later of the sauce. 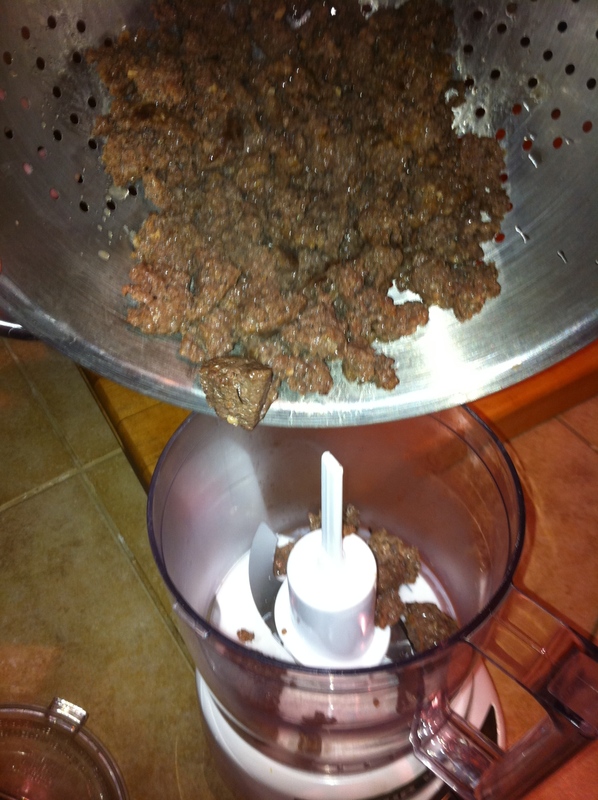 Remove the sauce and add into the mini food processor or blender until smooth, then put back into the pan and add meat. 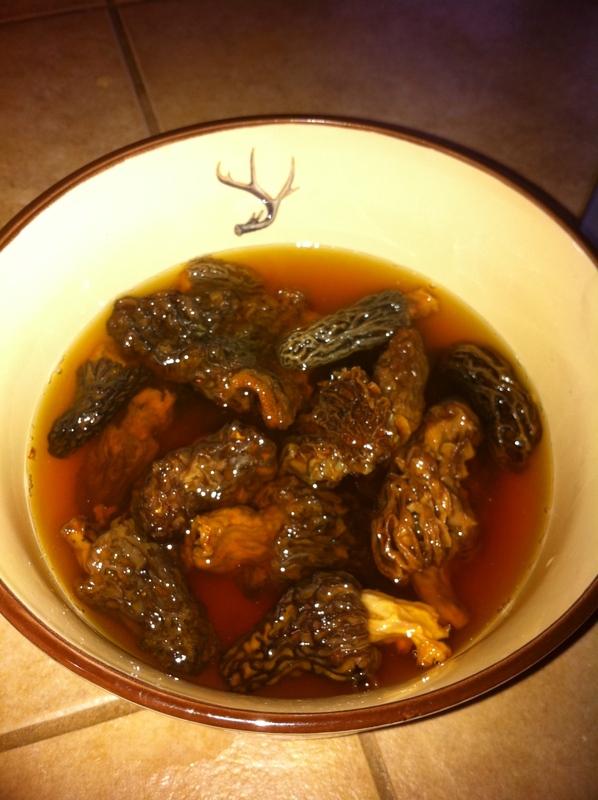 I like to use dried morels that I dehydrated from last spring so I add warm water and about a cup of dried morels for about 20 minutes. Do not throw the water away. 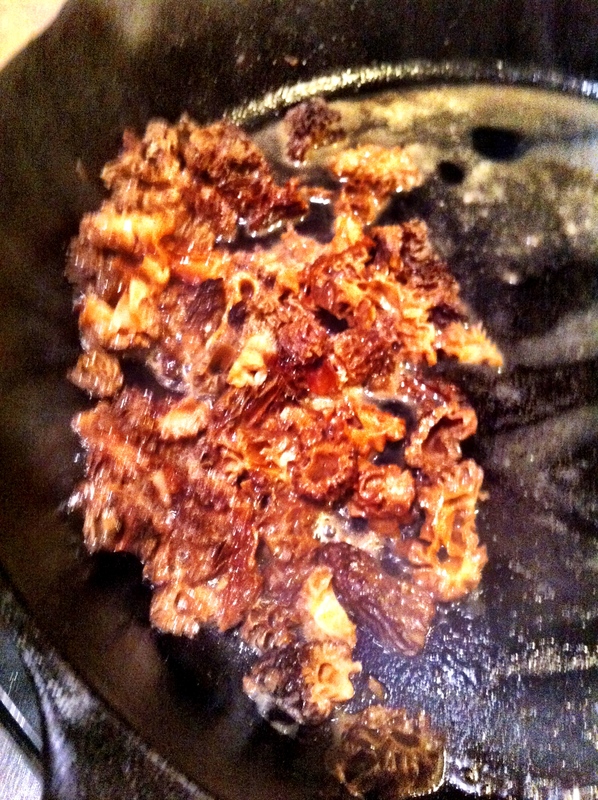 I then take my morels and add them into cast iron pan with butter. I take about 1/4 cup of the water and add that to the pan as well and cook them until they are soft and all the juices are gone. 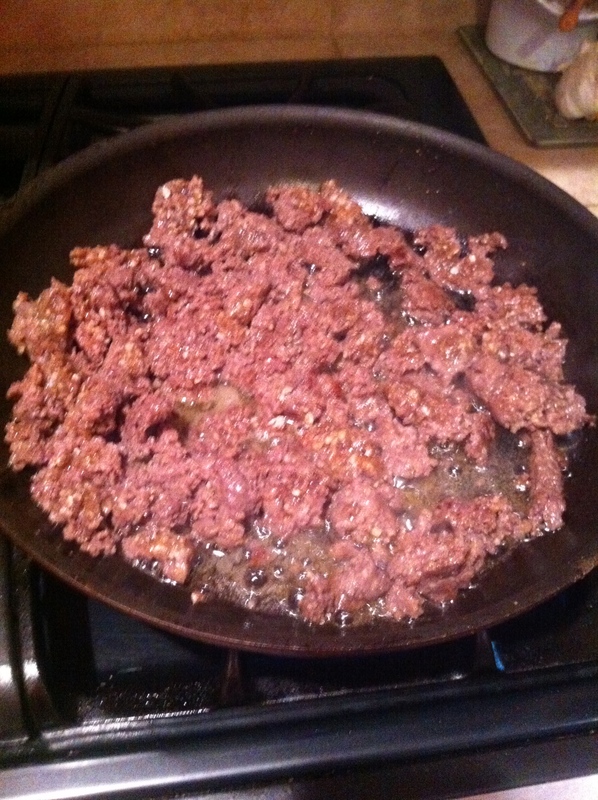 Then add them to the sauce meat mixture that is simmering on low heat. Let the pan simmer for after you mix it all up for about 3 minutes more and then turn off the burner and let it sit. 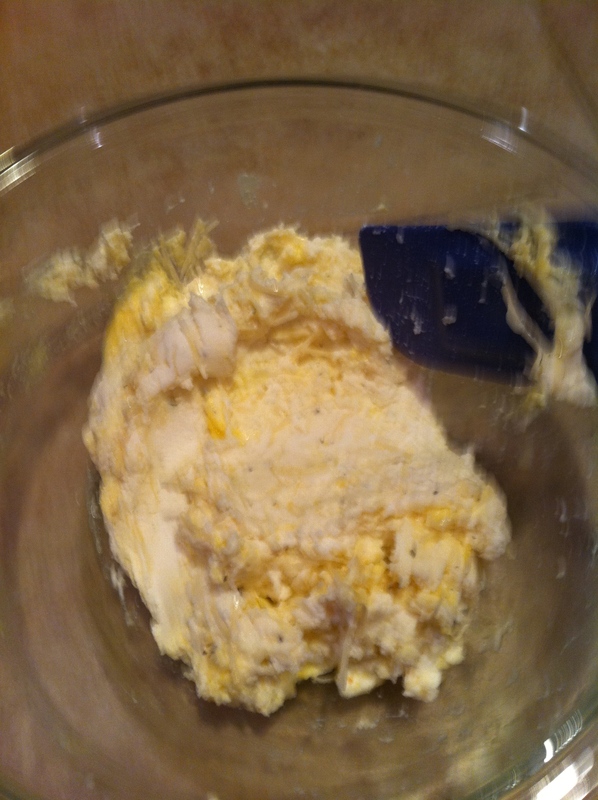 Time to make the ricotta filling. 1/2 cup of good quality parmesan Reggiano. Take a bowl and mix all of the above to taste, do not be afraid of the salt and pepper. 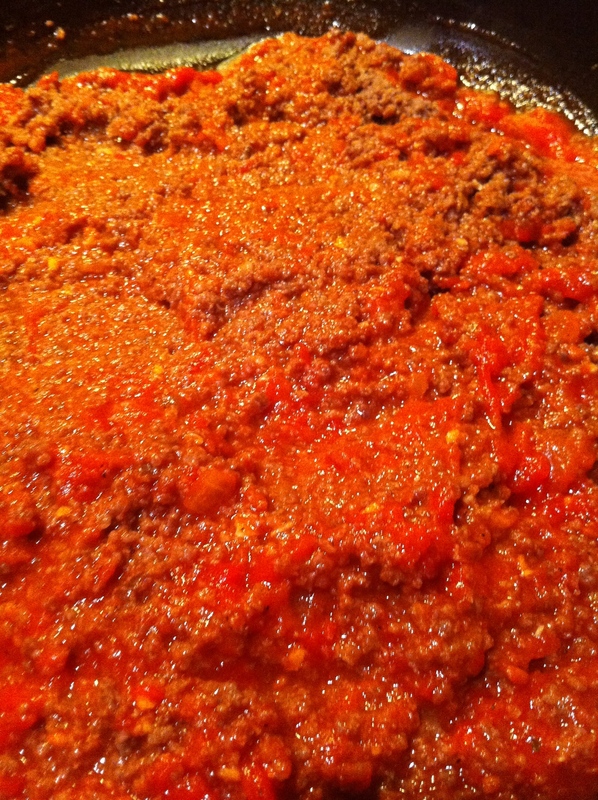 Take a casserole dish and spray it with pam and take about 1/2 cup of the red sauce and spread it at the bottom of the dish and take your lasagna pasta and lay over the top. Then take a spatula and layer the ricotta over the pasta, do not go crazy because you are going to have to repeat this step. 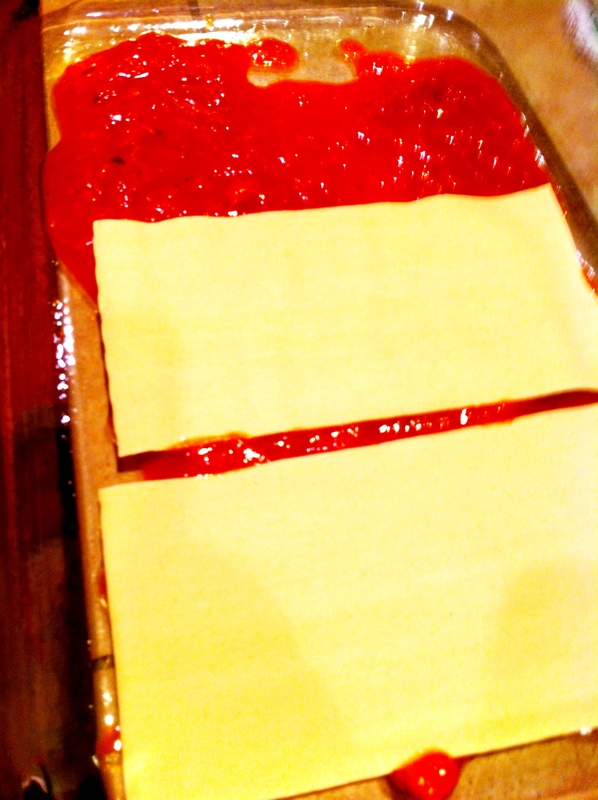 Remember you can push with the pasta down to evenly distribute the sauce and mixture so do not put too much down. Repeat this three times, four if you have enough ingredients to pull it off. You definitely have to make it at least three times! 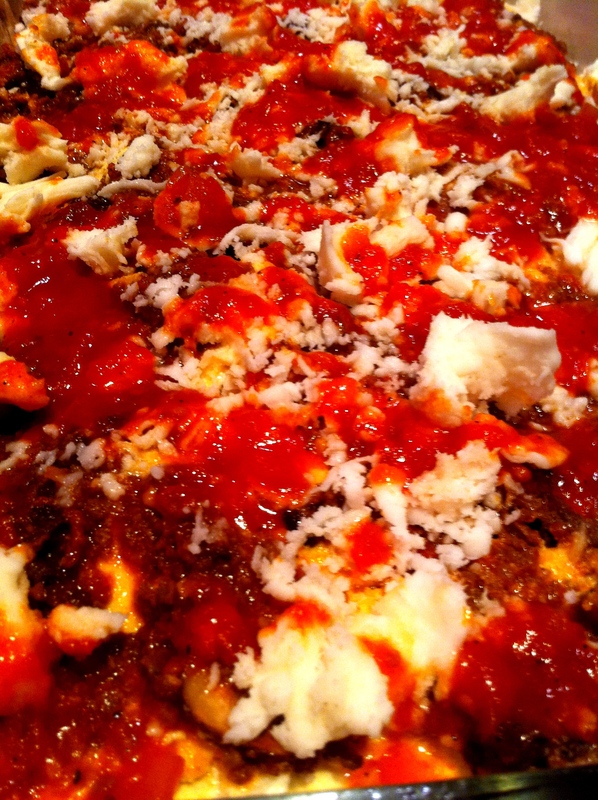 I finish off the top with the remainder red sauce I kept before the meat was added and little pieces of the left over mozzarella I did not grate. Toss it in your oven covered with aluminum foil for 25 minutes at 350 degrees. Then remove the foil and bake until brown on top for 20 more minutes. Once finished take it out and let cool for 10-15 minutes and cut yourself a slab. I usually dust it with some grated parmesan when I serve it. Then plate it with your salad of choice and some garlic bread and pour your friends a good bottle of Chianti. The flavors are pretty intense, the morels bring it together and your friends will love it. I like to serve this to people who hate wild game and then not tell them that they ate it until after dinner. They are always surprised, and I am always surprised that they would not like wild game in the first place. Try the recipe, thank me later. OMG, that looks so good. But where the hell am I supposed to get some elk? or you can have it for breakfast with a cup of coffee in your bath robe…..right honey???? It is true that I have been known to be at my test kitchen all night and day so it doesnt surprise me that I was seen in my bathrobe drinking a coffee at 3 am. testing my Lasagna. You have to test it 2o minutes after it comes out of the oven, and every two hours after. 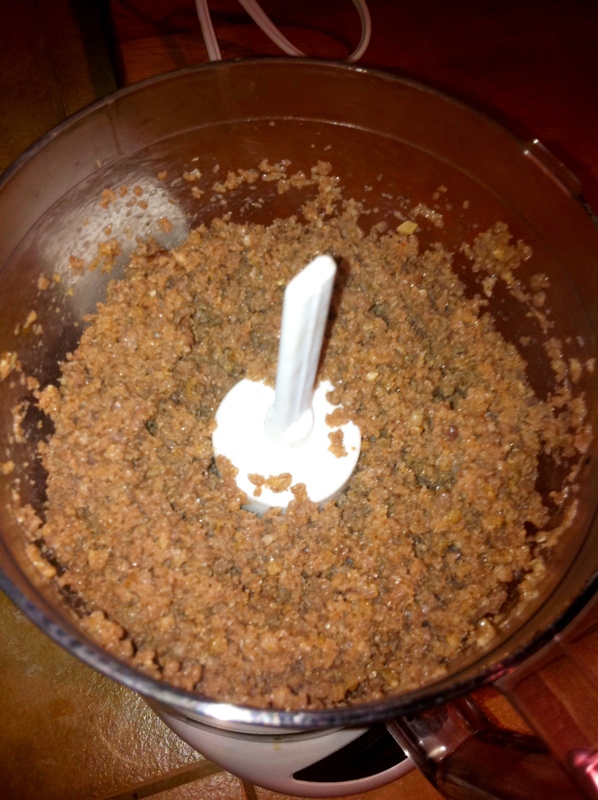 The recipe doesn’t tell how many pounds of meat that you use or how many it will serve.